This book, you guys, this book. This was the perfect fun, easy-reading fantasy that I needed to get me out of my slump! 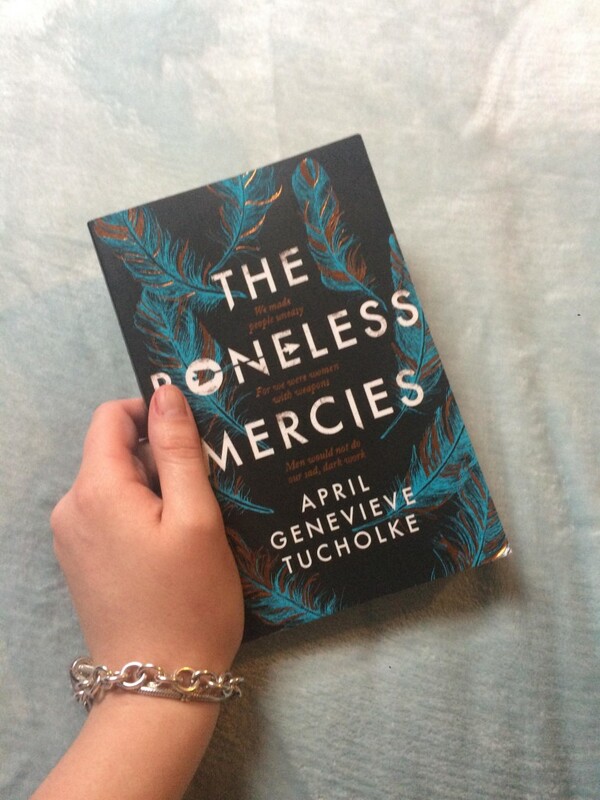 The Boneless Mercies is the story of Frey and her companions. They are death-traders, travelling from village and dispensing death for a few coins. It is a hard and unsettled life and one Frey is going tired of. Killing a brutal and merciless monster seems like the better choice. With a new quest in mind, Frey and her friends set off, journeying across the land. A series of adventures and moral dilemmas face them, and watching Frey deal with them was one of my favourite parts of the novel. She was a character that I instantly liked and was invested in! She really carried the novel and was someone I cared about, much more so than her companions who were given limited page time in The Boneless Mercies. I also really like the way the writer used Norse mythology in her writing, and I think I even picked up on some Beowolf references. It was a different mythology than I am used to but worked really well in this fantasy. If you’re looking for an enjoyable, easy fantasy with a moral dilemma or two thrown in, I really would recommend picking this up. I have this to read and your review just made me even more excited for it .